I asked YOU to ask me some personal questions. I want to use this platform to squash any concerns or worries about veganism, It’s always this ‘hidden’ thing that people worry talking about in case of an upset. Well, I’m made of stronger stuff, I’m not going to be upset about a few questions when I know it could help thousands. What influenced you to go vegan and were you vegetarian first? – From Loren. Well, no. It always surprises people to know what I went directly from a full meat eater on the Paleo diet (I used to think that meat was healthy and would eat it for almost ALL of my meals) to a vegan, after a trauma on holiday! The week after I came back from holiday I had incident too, I ended up writing up the whole months events that was leading me to veganism in ‘Thinking of making a change – Veganism’. I wasn’t a large meat eater, eating chicken and bacon and eggs on a loop but knowing what I know now, my diet must’ve been a huge strain on my health. Are you using vegan beauty products/toiletries etc? – From Fiona. I have been vegan for a year -but I very rarely buy these things anyway, so I have tonnes of stock-piled lotions and bath products. Most of which I’m re-gifting for Christmas and Birthday’s until they’re all gone. I don’t really go out of my way to buy vegan but if it is ‘accessible’ then I will support those companies and make a point out of the lack-of vegan products by tweeting and Instagramming the other companies. I know that Superdrug has just re-released their cruelty-free range called ‘B.’ in the UK. What are your toughest challenges – Have you ‘slipt’ up yet? I messed up once in January, for my birthday. My sister-in-law bought be a chocolate cake, I felt super guilty for both her and the fact that it wasn’t vegan. So I ended up taking a slither. April, Pizza is always a weakness of mine. My partner bought a frozen asda’s own pizza for dinner and I wasn’t well enough to cook so I ate it. I have had several coffees at my mother-in-law’s house with cows milk in (I drank half so I didn’t offend but it tasted foul). Pizza again only last month. There was no real reason, I just wanted pizza and the vegan deliver-online ones would take 2 weeks. I do feel bad about that one. My failings make me bad at being a vegan – not a ‘bad person’ and I will stand by the fact that I am making a change regardless of my mistakes. What do you think about the vegan options on the market today? I know they’re a lot better than 10 years ago so I’m happy. Almost every large supermarket has vegan choices and a long list of big brands have vegan alternatives. To spread the message that veganism isn’t a big lifestyle change would be wrong but if you’re someone worried about going vegan because you’d ‘miss cheese too much’ or ‘Love KFC to much’ then you’re wrong too. There are so many options that replace the things you want the market knows that people want ‘vegan burgers, hot dogs and cakes’ and will offer as many alternatives as you demand. I’d be lost without my vegan Linda Mccartney burgers and mini-sausage rolls. What do you think about the high-street food chains? Being a vegan and being social can be difficult. Luckily I don’t really eat out so being vegan for a year hasn’t really given me any reasons to experience the bad food-chains. Restaurants have pub-chains have not caught onto the fact that veganism is booming, it’s a fastly growing market (along with vegetarians). So to skip out vegetarian options, or have very little, is really cutting off a huge profit for themselves. I can’t stomach eating another salad or falafel wrap in a pub. Give us food – real food and we will eat it! Do you think veganism is healthy? Now, we’re into the big topic. My simple answer is ‘yes’. People expect to challenge me on this subject as vegans have always been thought of as ‘undernourished’ ‘weak’ and a little bit mental. but it’s well documented that meat and animal products are one of the biggest causes of diseases and cancers. We all know that if we go to the doctor they’ll tell is to reduce our dairy and meat consumption and yet judge those who do. Including meat and animal products, no matter how small is increasing your risk of these diseases, so an animal-heavy diet is unhealthy and one that removes those is healthy – right? Well, no. So. My typical answer is “If done right, yeah. It’s one of the healthiest”. What kind of issues do you have from being vegan? 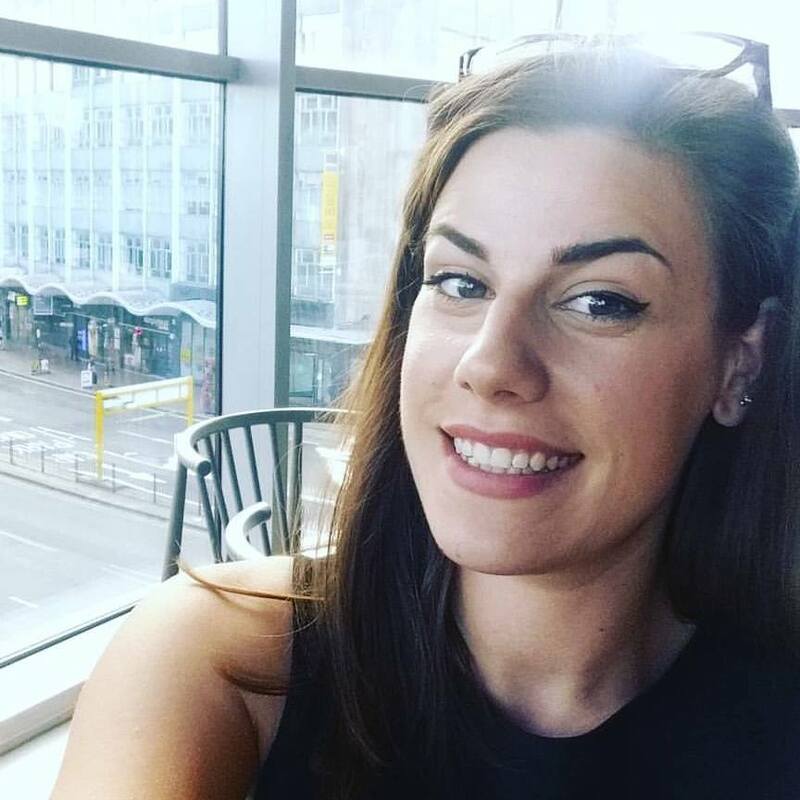 People close to me have started to change; Never in my life has my mother told me I need to eat ‘more meat’ or that I ‘look sickly (I don’t, I’m fitter than ever before) or that ‘I’m eating too much’- Before going Vegan I couldn’t eat dairy products, steak, turkey, game or pork so I was only eating chicken, minced beef and eggs. People become quite hostile; Including my family members. They will take any chance they can to attack what I’m eating or make me feel uncomfortable. (switching animal shows and looking at me with wide eyes for a reaction – asking me about animal cruelty stats and nutritional information – to test my knowledge). It has become quite negative ever so often. I find that I really eat too much sugar; I never had much of an issue with it before but knowing that I can eat more fats and sugars from plant-based foods means I let loose a little bit at the start of the year and really suffered from nutritional deficiencies. People that are anti-vegan (yeah – that’s a thing). Does it upset you? Of course, it does. I have family members that openly mock me for my choice not to eat animals. I hate to think that people can be anti-vegan, it’s not about them hating the movement that we’re trying to encourage. It’s about them advocating animal cruelty, that’s what upsets me. They’re not anti-vegan they’re just pro-animal cruelty. It’s hard though, to talk about veganism on my platform. Or even in general, every time I speak about it I feel as though people are thinking “Oh here we go”. People around you think you’re going to start preaching so… they jump in on the defensive and become hostile. It’s so frustrating being knocked down every time you want to share something with someone, especially when it can be so positive. My family are (slowly) learning. I have moaned about them on this post and I should give them credit where it’s due -They have really changed for the better. Not completely, though I’m not expecting much at all, people are more interested in my choices. On all of the ‘diet’s’ I have ever done, never have I created such an intrigue from family and friends. I have been vegan for a year so they want to know what I eat, how much I eat and what my limits are. It’s amazing to be able to tell them the variety of food I get to enjoy. My partner is now vegan throughout the week- Fridays he eats a roast dinner with his nan (who is anti-vegan) so I don’t think she understands it too well. My sister, her three boys and her husband have cut down to drinking almond milk in their drinks with the odd exception and occasionally have vegetarian meals. My brother is now ‘conscious’ of his meat consumption (though still eats it for most meals) he happily eats vegan if it’s cooked for him. Lazy git. For me – Veganism is about spreading the ‘reduce’ your cruelty message and impact on the world. Labelling veganism as a ‘strict’ and hardened lifestyle can really segregate people who want to try to reduce their impact on the world. I have been vegan for a year and I feel like a new me. A lot of my veganism comes through food so I guess I’m more ‘plant-based’ with vegan tendencies? People who are cutting out meat and dairy but still consuming eggs are doing far more than those who aren’t trying. So why would we segregate them? Yeah, I’ll have a vegetarian falafel or crisps that have whey in them. I am reducing my impact on the planet all year and as long as I’m not purposely eating animal products ( I try my best to pack food every time I leave the house) then I shouldn’t feel embarrassed or ashamed (even though I do) for consuming those products when I’m struggling. I think that’s what veganism means. Sharing a message of compassion and health and making it easy to access by caring for others that want the same, even if they still consume honey or eggs once a year. A completely different person. I’m more sceptical than ever before. I question everyone’s motives for anything, I just feel like I’m detached from the rest of society, as much as I try to relate to it I can feel like I’m an outsider looking in (I imagine it’s how meat-eaters look at me in all honesty). It astounds me that people, myself included, can be so blind to the cruelty. Where would our five-year-old selves be in this world? I know mine would be sitting in a garden somewhere looking for insects and small animals because I loved them (and still do). Would five-year-old you be supporting the animal cruelty that’s happening? It’s not all bad though, I have felt supported at times, through my sister speaking up for me and allowing my veganism to be her voice too and I’ve felt alone, the first six months were awful, I felt attacked and persecuted but I learnt how to deal with it. Being vegan for a year I learnt that people attack when they feel vulnerable so If I can give them some knowledge and passion they (most often than not) share some understanding with me. I’ve felt limited for choice at some bars and food chains and I’ve felt spoilt to choice in others. The most important thing I have felt is an overwhelming sadness. That I can’t get others to understand how horrendously the animals are being treated abused and that they’re not a ‘food’ they’re animals, that have babies and lives they want to live. Like I said at the start, Santorini was a huge turning point for me. I really felt as though humans were disgusting for treating animals like that. When I realised it wasn’t just Santorini, it was the whole world doing it (and abusing them much worse) I felt physically sick to my stomach. I won’t ever revert to eating animals. I might slip up and use half & half spread on my toast or eat a non-vegan doughnut without realising (I just assume most products are vegan these days) but I won’t ever be a part of the mass-killing of animals. Nine Months in I wrote ‘Top vegan foods to have in your cupboard’ – Linda McCartney products feature heavily! Alternative Home-made Ice Creams; chocolate PB is a massive hit, along with Chocolate walnut and amaretto Ice Creams. Meat-Free Mushroom meatballs. I had a blogger message me to say she tried these as burgers and LOVED them. So that’s a win! 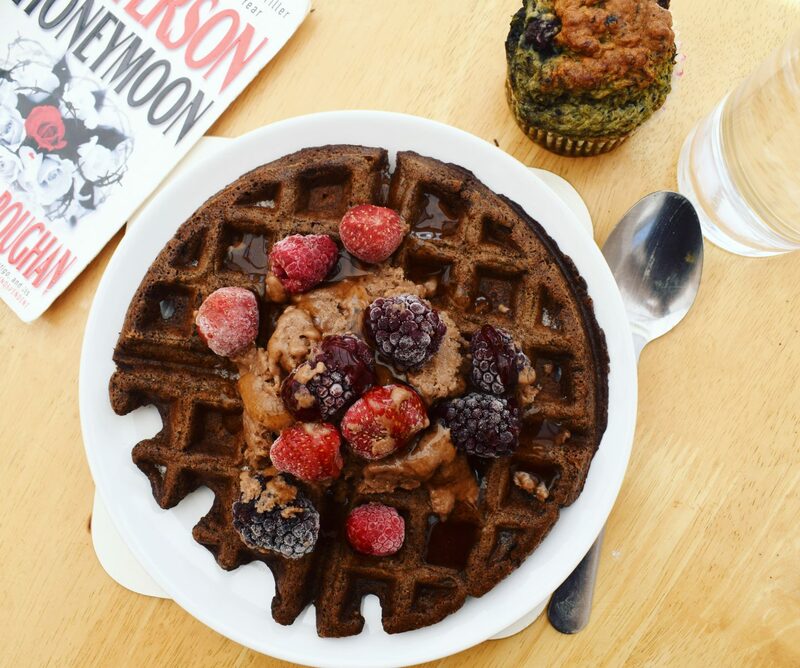 The famous – Vegan Waffles!! A whole week’s worth of ideas for you! By sharing my voice on this platform (which I rarely do, bar the recipes) I know it encourages the movement so whether or not you made it through this post, you opened it. You saw, even if it was just a statement, my passion for changing the current status quo.